BoldHeartMama: Seasonal Color Analysis: I Got Draped! 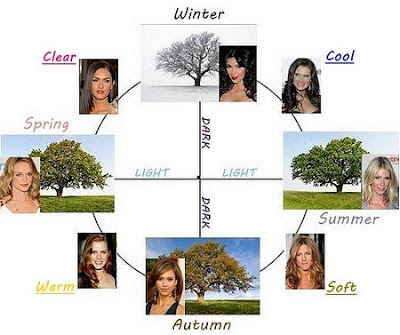 Seasonal Color Analysis categorizes everyone into four distinct seasons while Tonal Color Analysis takes it one step further with the understanding that while everyone will fall into one of the main seasons, most everyone can also wear some colors outside their designated season. 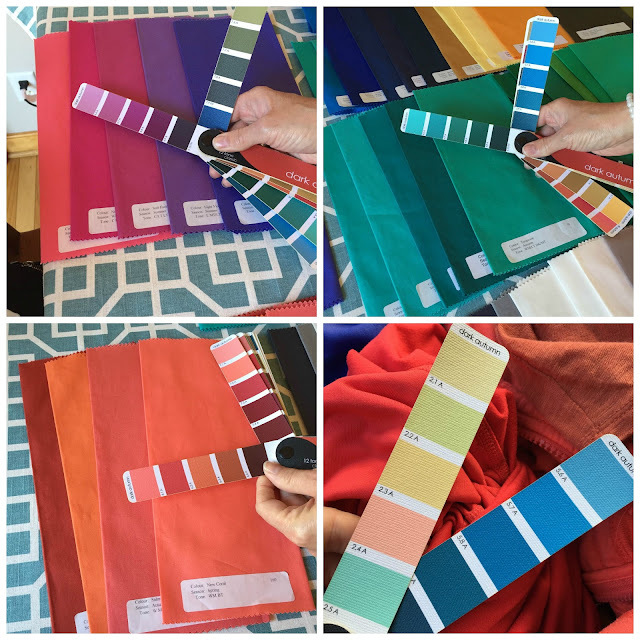 A tonal draping will capture a palette that is even more specific and individualized to you, with a unique color swatch booklet to take home at the end of the process. Inspired by last years exploration into seasonal living, I was curious to learn more about my seasonal color palette. Based on two simple online quiz tools from Into Mind and The Chic Fashionista, and a lipstick draping, I thought I might be a Deep Autumn. However, the more I learned about the nuance of color analysis the less sure I felt. When I had just about driven myself crazy with wonder, I decided to go for it and indulge myself with an official color draping. Late last Winter I met with Joanne, an image consultant and tonal color analysis specialist from Younique Image Consulting. I arrived without makeup and jewelry and we introduced ourselves. She sat me down in a chair in front of a big picture-window filled with indirect sunlight. 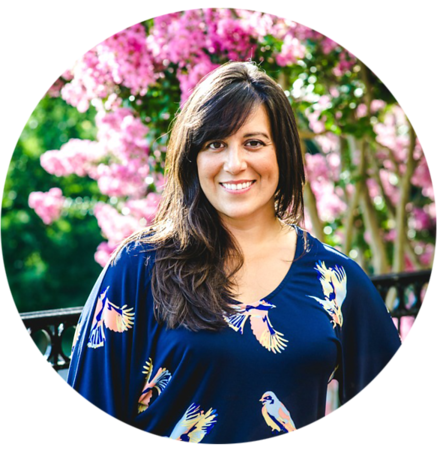 Her first impression was that I am a Deep: dark hair and dark eyes, and then she dug right into the analysis. Joanne first assessed whether I was warm or cool, this is referred to as Hue or undertone: definitely warm…but also a little cool. My eyes are a medium color with a dark brown—almost black—ring, with a chocolate brown center and flecks of amber. My freckles are taupe, not red, which also gives my coloring a more muted look and lends me to cool. 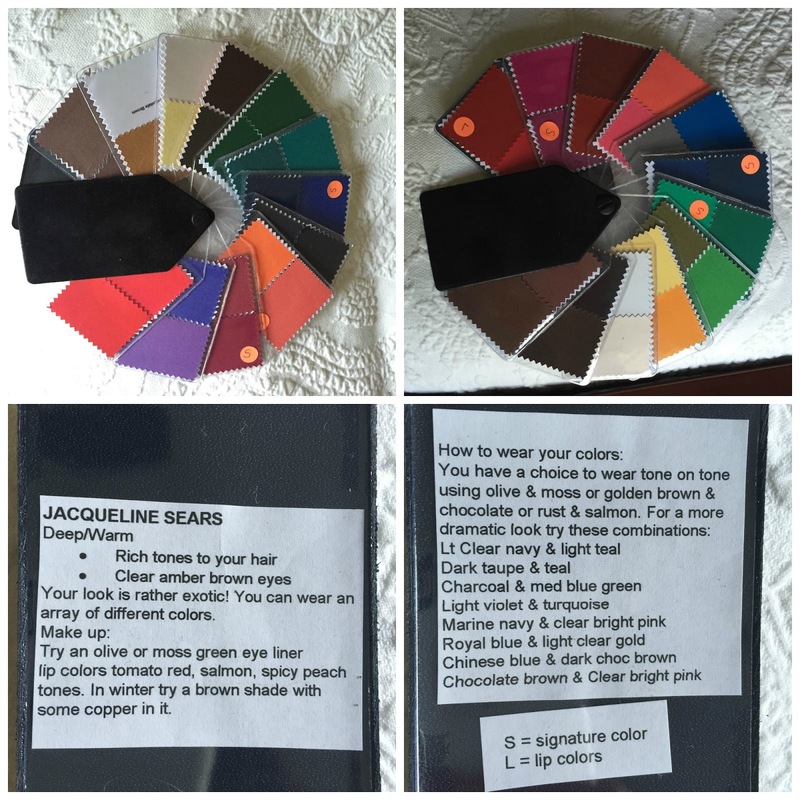 Then she assessed color Value, or how saturated I can wear color in general. Next Joanne used hand towel-sized swatches of fabric in every color to assess how each reacted with my natural coloring. She worked quickly, selecting swatches and draping each fabric across my neckline to compare how the colors interacted with my face. In groupings of a few at a time she layered the colors and then un-layered the colors. Some really stood out to her as being lovely, those she identified as my signature colors. The rest of the swatches got separated by process of elimination into Yes and No piles. Some of the questions she asked: Does the color wash me out? Does it create shadows? Does my face take on the color—too yellow, too blue? Do the shadows around my mouth and nose fade away or appear to darken? Does my complexion even out or look gray or splotchy? With her guidance and a lot of observation throughout the process I did start to see the changes, especially in the most obviously good for me colors. After all the color families had been explored we moved on to neutrals. As it turns out I can wear black, brown, off-white, and even the occasional true white. The final verdict? I’m a Deep Autumn after all! Dark, warm, and muted—on account of my eyes and freckles. Joanne said I have an unusually wide selection of colors that work well for me, which was exciting. In these pictures I'm comparing the generic Deep Autumn swatch book that I purchased from True Color online to some of the color swatches that Joanne identified as working well for me. Joanne's analysis reflected the Deep Autumn palette really accurately, but she found that two spokes of the fan were not for me at all: some pastels and blues (bottom right). Likewise, I get to claim some of Winter's jewel tones that are otherwise not included in the Deep Autumn palette. To the draping I also brought my makeup tote and some items of clothing from my closet that I felt worked well for me, as well as some that I was pretty sure did not. She spent a few minutes to confirm my hunches and also answer some of my questions about the makeup colors that I regularly use. After our visit Joanne carefully assembled my personal color swatchbook, which arrived in the mail a couple weeks later. My swatchbook included additional guidance for how best to wear my colors, with designated signature and lipstick colors as well as suggestions for color coordinating. Truth be told, Fall is my favorite season of the year, and I LOVE the spectrum of colors in the Dark Autumn palette. I went through my entire closet and all of my cosmetics and nail polish. I tossed out the stuff that wasn't in my palette. Then I went shopping to pick out a new lunch box (top right) and a backpack in my signature colors. I also bought some new lipsticks to bring a pop of color to my everyday style. I still take my fan with me everywhere I go (almost a year later! ), and my understanding of how to apply color continues to deepen and improve. 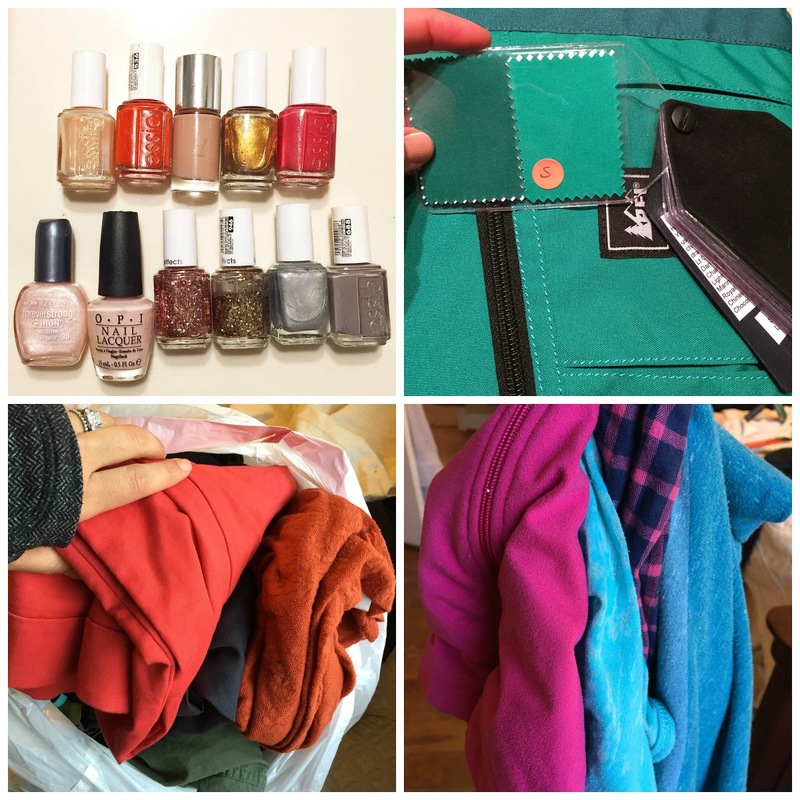 Not in my palette: the bottom row of nail polish and the clothing items shown in bottom right. I have since fallen in love with color and all the possibilities it offers. Color really brightens my day: I feel younger, fresher, more vibrant, and more creative when I'm wearing my best colors. A new appreciation for the subtlety of color adds yet another layer of self awareness and understanding—I always categorized my hair and eyes as dark brown, but I can be more descriptive now: warm chestnut hair with highlights of gold and red; bright brown eyes with flecks of amber. I know now how to use color to best complement my features. I have a new perspective when shopping. From season to season, you'll notice that use of color in retail fluctuates tremendously and is widespread across brands; Spring might bring bright neons and Summer might be muted earth tones. These trends are largely influenced by color forecasters who decide years in advance what will be desired by consumers. What a weird concept to just wear whatever colors are fashionable in the moment, instead of what really flatters! I've also found it's a real bummer when this seasons chosen colors aren't in my palette. I'm not afraid of color because I know what works for me now, and I have confidence to choose and wear color with intention. Knowing what colors work best for me simplifies my wardrobe and my life because I can shop efficiently (looking first at color, and then at cut and style) and choose outfit pairings with ease, as everything in my closet makes me feel good and all the pieces coordinate with each other. I prefer gold jewelry now to silver, though I can wear both. Don't wear any makeup or jewelry to your draping. Late Winter/early Spring is a good time to get draped, because skin color tends to be in its most natural state after the sun-starved winter months. Bring some of your clothes and makeup to your draping if you have specific questions or would like some additional guidance. Know that a good summer tan or a new hair color may shift your palette into a different season. A good rule of thumb is to get draped every ten years, or after menopause: aging of your skin and hair can change your season. Would you get draped? Do you think this is fun or superfluous? This is really interesting. I never heard of this kind of analysis before! I'm actually colorblind (red/green), so I wonder how many colors I'm wearing that wash me out yet I think look fabulous. Hahaha. This would be a fun gift for someone. I love this unique post, Jacqueline! I'm wondering if you'd feel as excited about colors if you turned out to be a Soft Summer/Fall, like me, where all the colors are so dang muted. Gray and graytoned color. It's why I don't even bother with this stuff anymore! I'm wearing bright orange right now, and feel right at home... even though Joanna would say I'm not wearing the "right" colors.